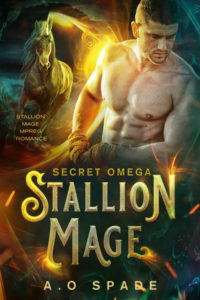 I put Stallion Mage #1 up earlier this week… mostly to encourage myself to revise and finish Book 2. And people are borrowing it! It’s great that there’s a subscription service so people can take a risk on, you know, mpreg unicorn shifters. I’ve gotten 3 kind reviews so far. Many thanks to the brave souls who aren’t afraid to tell the world that they read mpreg unicorn shifter romance. I’m also getting my first blog review on gaybook.reviews sometime in January, and that gives me a deadline to get at least one other part out. I’m working on Book 2, and it needs a lot of rewriting. Things just don’t make that much sense, and I don’t spend enough time with scenes in general. But I know what to do.